Sulfur hexafluoride is the gas most commonly used as insulator in power transmission and distribution switchgear. Water, however, can negatively affect the dielectric capabilities of SF6 gas. To prevent operational and safety issues, it is important to measure and monitor humidity levels in gas-insulated switchgear (GIS). Due to its excellent dielectric capabilities, sulfur hexafluoride (SF6) is the preferred insulator in electrical transmission and distribution equipment. Switchgears insulated with SF6 gas are tightly sealed. However, over the lifetime of the equipment, impurities may find their way into the gas compartment via hoses, gaskets, and gas handling equipment. 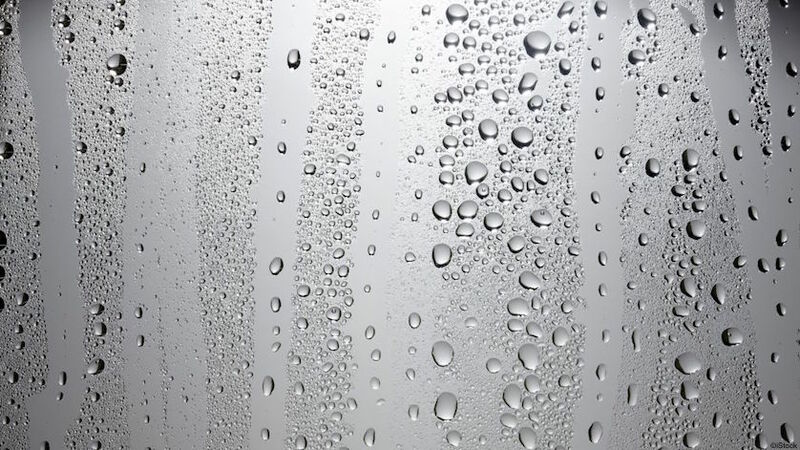 Impurities in the gas can affect its insulation strength and lead to failure. In fact, insulation issues account for 57% of all failures in gas-insulated switchgear (GIS). Water hinders the recombination of sulfur and fluoride into sulfur hexafluoride. It is the most problematic impurity as H2O not only decreases insulation, but also creates an acidic atmosphere that promotes corrosion. Corrosion damages equipment and leads to leaks, which pose serious safety hazards to personnel and the environment. The SF6 in the gas compartment can absorb a certain amount of water. When the amount of water exceeds the saturation point of the gas, the excess condensates and forms a water layer (if the gas temperature is above freezing) or sublimates and forms an ice layer (if the gas temperature is below freezing). The amount of water the gas can absorb depends on the temperature of the gas. At fixed conditions, the amount of water molecules going to and from the H2O layer to the gas is in a dynamic equilibrium. As the gas temperature increases, more water molecules pass to the gas until a new equilibrium is reached. (left) A certain gas can absorb 10 molecules of water at 86°F (30°C). If at 77°F (25°C) it can absorb 7 molecules (center), the remaining 3 molecules will form a water layer at the bottom of the container. Similarly, if at −4°F (−20°C) the gas can absorb only 5 molecules (right), the remaining 5 molecules will form an ice layer on the bottom and sides of the container. Some of the SF6 gas in the compartment is routed alongside a mirror to measure the gas’s dew point. The mirror is chilled by a Peltier element until condensation or an ice layer forms. Then an LED light shines on the condensation/ice layer, with its refraction picked up by a photodetector. This method is simple and works well for a wide range of conditions. On the down side, it is time consuming and more expensive than other measurement technologies. 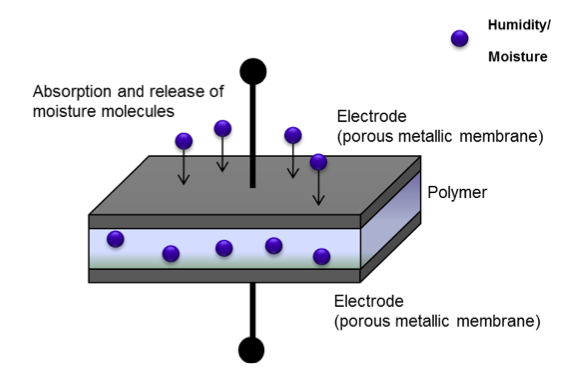 A polymer sandwiched between two porous metallic electrodes (membranes) is inserted into the gas compartment. 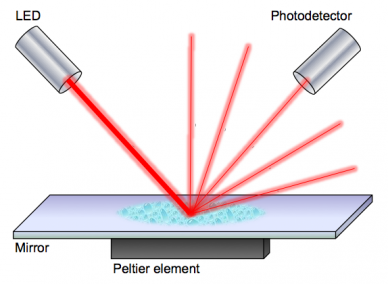 The capacitance of the sensor changes as more or fewer water molecules enter the polymer. This relatively quick measuring method is valid for all electrochemical sensors. It is also much cheaper than chilled mirror technology. With the increasing automation and development of power grid, it is becoming the norm to not only monitor humidity levels, but also the general conditions of sulfur hexafluoride. All-in-one devices can measure total gas quality. For example, the baseline measured values of the WIKA Model GA11 analysis instrument are purity and humidity (using a capacitive polymer sensor). Additional parameters include temperature, pressure, density, and SF6 gas decomposition products. Other units, such as WIKA’s GDHT-20, have built-in data storage and processing capabilities that help identify trends and prevent failures. WIKA has decades of experience in monitoring SF6 gas. For more information, contact WIKA’s experts today.